A little light reading? You decide. 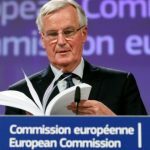 There are summaries in most of the papers, but if you want to get to grips with the fine print I can help: BREXIT DRAFT WITHDRAWAL AGREEMENT IN FULL The Agreement, published yesterday, is less than half as long as Leo Tolstoy’s famous tome “War and Peace” – but so far it has produced far more war than peace among Members of Parliament. I was present when the Prime Minister made her statement at Westminster. It was a tense occasion. I am well aware of Ministerial resignations and the widespread anxiety about the implications of approving this Draft Deal. Mrs May says it cannot be altered. This may turn out to be the biggest hurdle of all. The referendum held in June 2016 returned a decisive majority in favour of leaving the EU in this constituency. I respect the Prime Minister but I also respect the opinions of the people I represent. I would greatly appreciate your views before Parliament is asked to decide what happens next.